We hope you download version 1.0 now and as always let us know what you think. 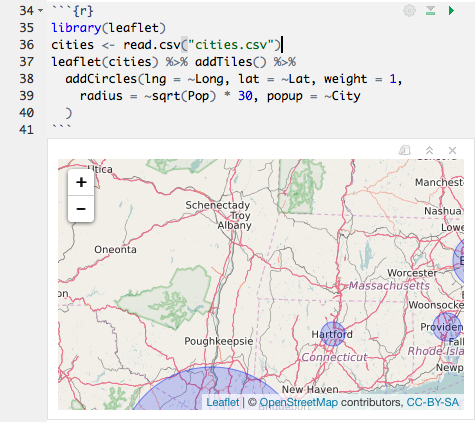 R Notebooks add a powerful notebook authoring engine to R Markdown. Notebook interfaces for data analysis have compelling advantages including the close association of code and output and the ability to intersperse narrative with computation. Notebooks are also an excellent tool for teaching and a convenient way to share analyses. 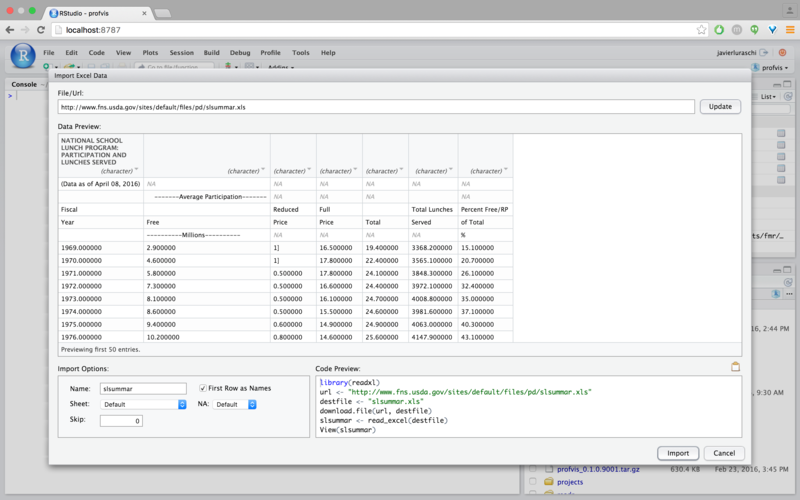 R Notebooks bring the interactive model of execution to your R Markdown documents, giving you the capability to work quickly and iteratively in a notebook interface without leaving behind the plain-text tools, compatibility with version control, and production-quality output you’ve come to rely on from R Markdown. If you write R code, then you’ve probably asked yourself this question. A profiler is an important tool for doing this: it records how the computer spends its time, and once you know that, you can focus on the slow parts to make them faster. 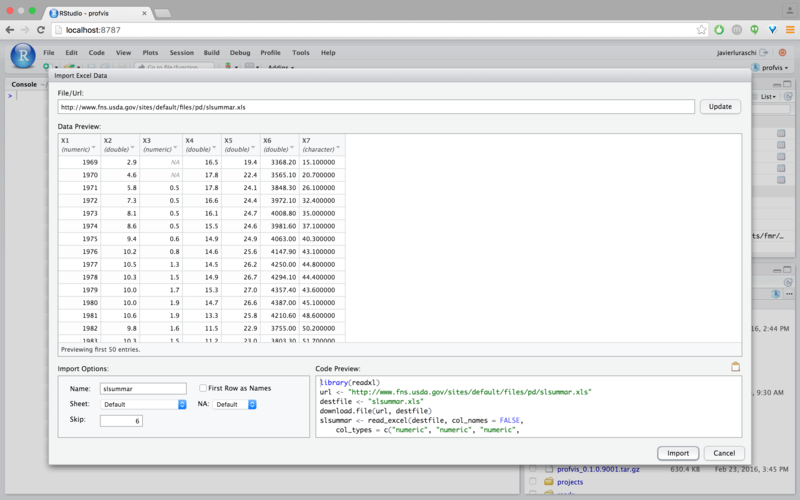 RStudio now includes integrated support for profiling R code and for visualizing profiling data. 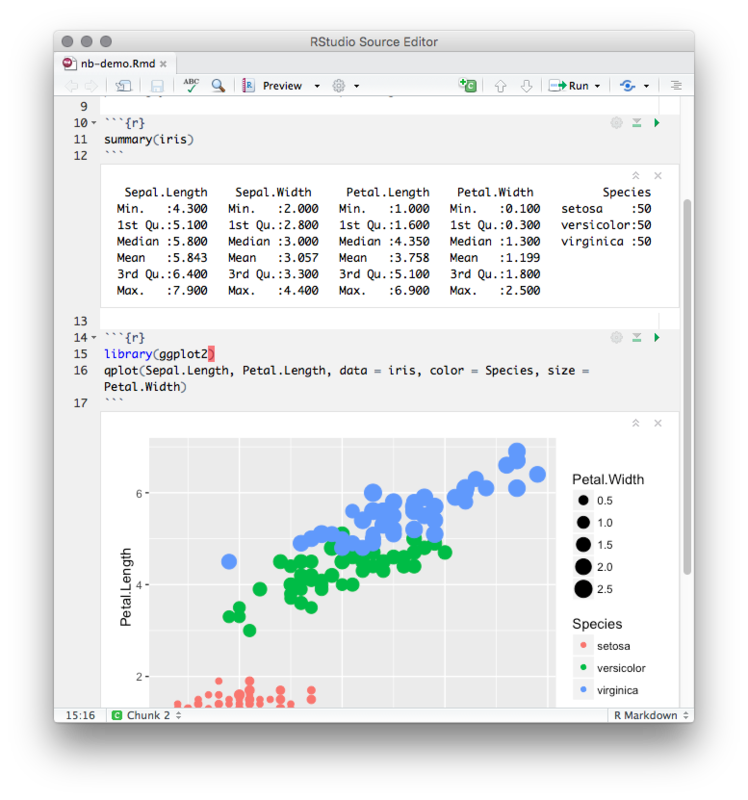 R itself has long had a built-in profiler, and now it’s easier than ever to use the profiler and interpret the results. 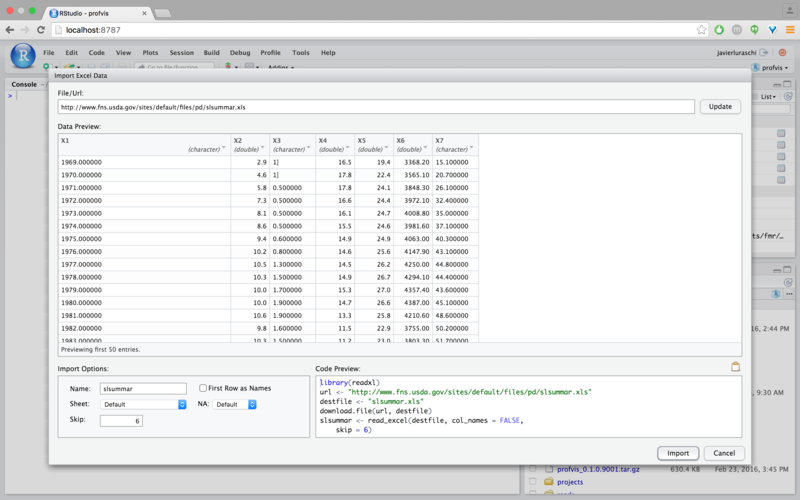 To profile code with RStudio, select it in the editor, and then click on Profile -> Profile Selected Line(s). 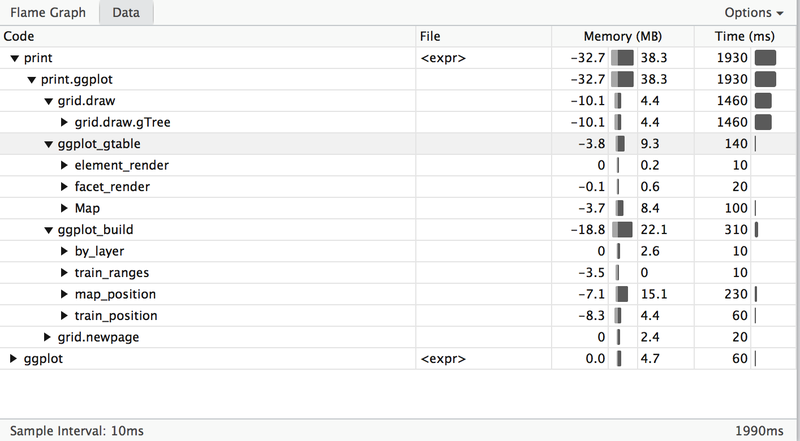 R will run that code with the profiler turned on, and then open up an interactive visualization. Armed with this information, you’ll know what parts of your code to focus on to speed things up! 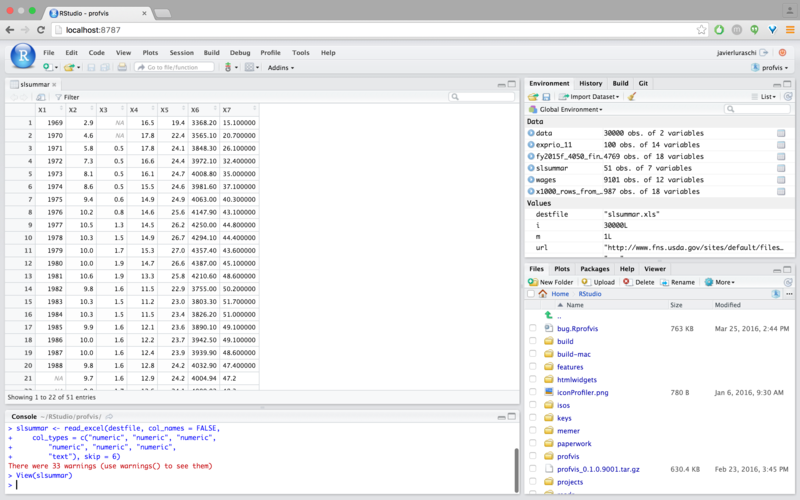 RStudio now integrates with the readr, readxl, and haven packages to provide comprehensive tools for importing data from many text file formats, Excel worksheets, as well as SAS, Stata, and SPSS data files. The tools are focused on interactively refining an import then providing the code required to reproduce the import on new datasets. For example, here’s the workflow we would use to import the Excel worksheet at http://www.fns.usda.gov/sites/default/files/pd/slsummar.xls. 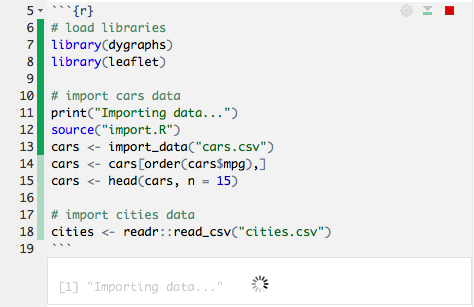 Note that rather than executing the import we could have just copied and pasted the import code and included it within any R script. The RStudio Release History page on our support website provides a complete history of all major and minor point releases.